361º's first web template, mazing, aims to show your product to the world in a beautiful index design, no matter what screen size. for mazing, we wanted to defy the norm and go on the edge. that's why every page is slanted, bringing a new perspective for the user to be attracted to. we designed mazing with mobile and desktop in mind, so the viewer can scroll seamlessly on any screen size. based on a black and white layout, your product shines front and center, popping out of the viewer's screen. this modern web template is perfect for anyone wanting to get ahead of the curve. we hope you love mazing and if you would like to purchase the template, just click below! 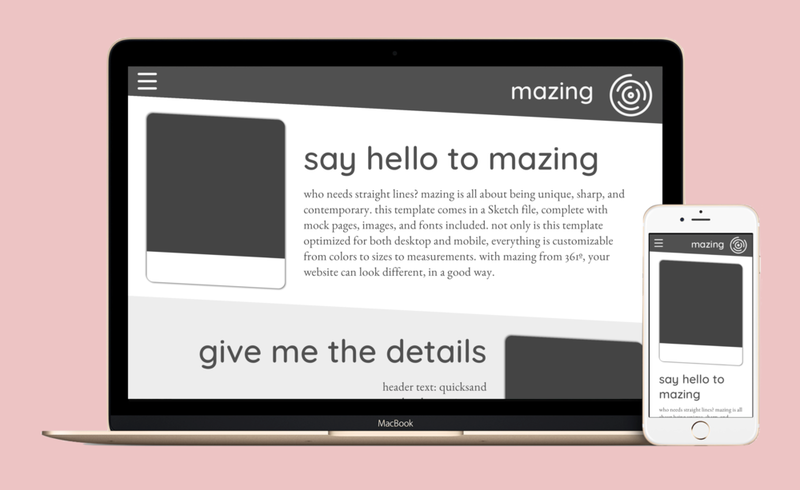 mazing comes complete with a sketch document with every asset you need and fantastic fonts supplied by google fonts.